London is all the more magical at Christmas. It’s no secret that London has some of the top tourist attractions in the U.K., most of which you can visit throughout the year. But as the holiday season approaches, we see the city in a different light. The streets, squares and parks take on an almost magical air as the entire population of London gears up for the festive season. There are decorations everywhere, and Christmas carols and pop songs heard in every store and even on the street. But when you had enough of stores and Christmas shopping, and you’re in need of something different, where do you go? Well, luckily for you, every Christmas, London is home to a seemingly endless list of events. Some are Christmas themed while others are not, but each has one thing in common: they’re all fun. From Saturday, November 17th until Sunday, the January 27th, we muggles can experience the magic of the world’s most-esteemed school of wizardry as it undergoes a change of climate. The festive atmosphere of the Great Hall allows you to step back in time to the Yule Ball when Harry and his friends saw the hall covered in snow and icicles. But it’s not only the Great Hall that gets a festive makeover. So, too, are each one of the sets included on the studio tour decked out for Christmas. And while any trip to Hogwarts would be a magical experience, it’s even more memorable covered in snow. Of course, it’s not real snow, but it gives film buffs an excellent opportunity to see how the white stuff is made for the silver screen and perhaps even to touch some. Kew Gardens are always popular with tourist, but from November 22nd until January 5th, we get the feeling that they’ll be more popular than ever. That is when the gardens shine brightly with festive lights. 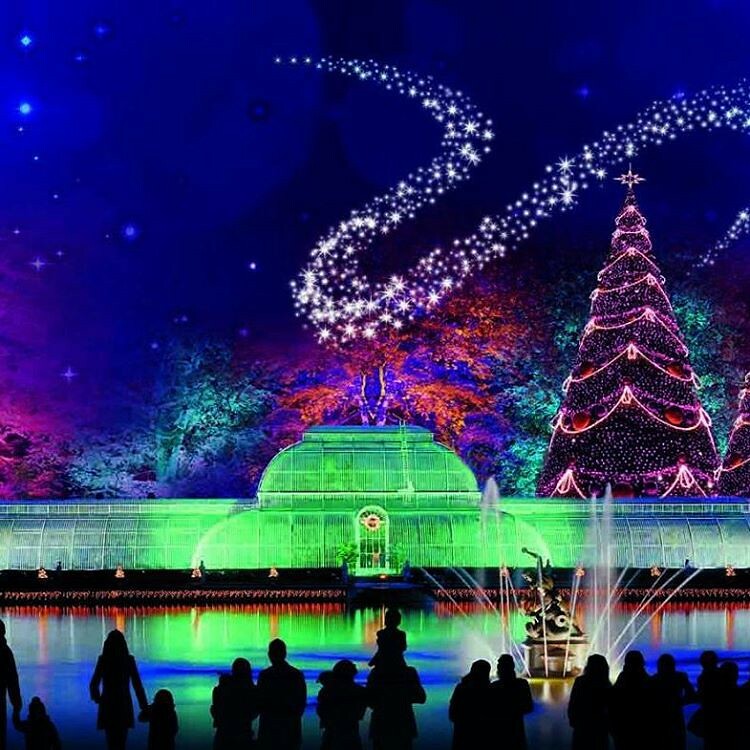 And this year, the trail of lights is set to be bigger than ever with over a million lights throughout the gardens. Improving upon previous years, this year, the organisers added a laser garden where the reflections of light playing on the branches are set to dazzle onlookers. There are also hundreds of small boats floating on the lake while families can have fun on the vintage fairground rides. It promises to be an event to remember, especially for the little ones. It’s an early Christmas present for poker lovers as the 888poker Live London Festival rolls into town. While it may not be festive in theme, the event promises to be festive in mood as 888poker guarantee the Main Event pot of almost £400,000. Now, that would make for a lovely pre-Christmas bonus! Taking place from November 22nd to December 3rd, the event isn’t only about playing to win as organizers have also arranged a Pros vs. Bros event in which local players get to sit at the table with seasoned pros and big names of the game. World Series of Poker champions Scott Blumstein, John Cynn, and Martin Jacobson are only a few of the top players that 888poker has invited to the event. Trust us, if poker is your thing, then a chance like this to rub shoulders with the best doesn’t come along often. You don’t want to miss this. A World Cup event in London right before Christmas? Yes, as unbelievable as it sounds, the Lee Valley VeloPark is set to host track cycling’s premier event. The UCI Track Cycling World Cup will see some of the world’s greatest track cyclists take on each other at this indoor event. With both Olympic and Paralympic champions scheduled to race at the World Cup, it promises to be an event worth attending, even if you’re not much of a cycling enthusiast. So, get down to the VeloPark between December 14–16th to cheer on your nation. And if your country isn’t involved, you can always cheer on the British! Lots of carolers gathered at the Royal Albert Hall. The Christmas Festival at the Royal Albert Hall runs through the entire month of December and includes a wonderful series of performances and events. There’s a tour of Santa’s London HQ in the hall, “Home Alone” in Concert, Carols at the Royal Albert Hall and “The Nutcracker.” And that’s not even half of the performances held in this iconic building. Whatever performance you decide upon, you’re guaranteed a magical time in this 147-year-old building. But if you want a true taste of the festive season in the hall, then the carols on Christmas Eve is a perfect choice. It’s hugely popular, though, so it’s best to book your tickets early. It might sound like a magical game contested by fairies and pirates, but the Peter Pan Cup is not at all for the fainthearted. This Christmas Day event is a swimming race that has taken place in Hyde Park every Christmas Day since 1864. Organised by the Serpentine Swimming Club, as you can imagine, the race is one of the oldest clubs in the country. So, where did the name originate? Well, in 1904, novelist J.M. Barrie donated a cup to the club in celebration of his new play “Peter Pan,” which recently opened in the West End. The Peter Pan Cup became the prize for the first race of the day and remains so ever since. But not everyone can join. The Peter Pan Cup is only open to swimmers who qualified during the year. Still, it’s a fun event with spectators cheering on their favourite swimmers in the near-freezing water. Like we said, this is not for the faint of heart, so if you’re going, be sure to wrap up warm. So, there you have it: a series of wonderful events taking place during the run-up to Christmas. As we mentioned earlier, London is a magical place at Christmas, and whether you celebrate the holiday or not, it’s hard not to get caught up in the festive spirit of the holidays. But remember to wear your woolly hat and mittens wherever you go! This site was launched in 1996. It is therefore one of the original "London for free" sites. The site and all the walks and information on it is free to use, and you do not need to register in order to access it. For convenience and in response to several requests from site visitors, the walks and bus tour can also be purchased from this site as pdf booklets for a small admin cost. Our aim is to help you enjoy your time in London by providing you with a few ideas of things to do and see without spending loads of money. It is not intended to be a comprehensive listing of everything that is free in London.